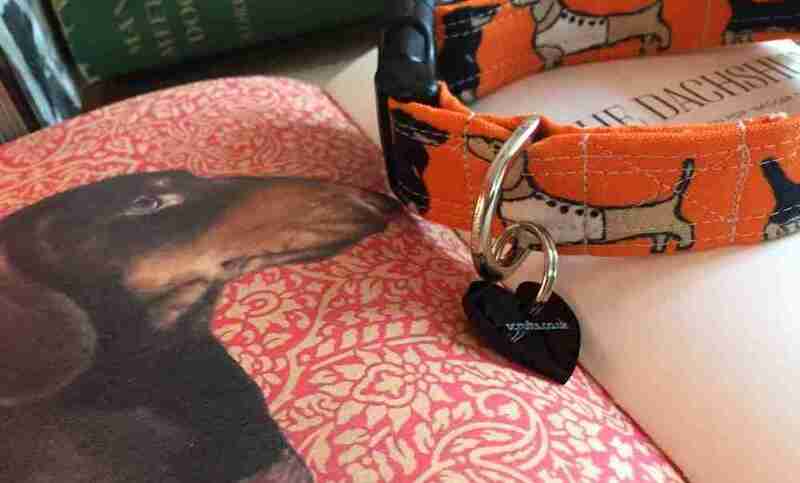 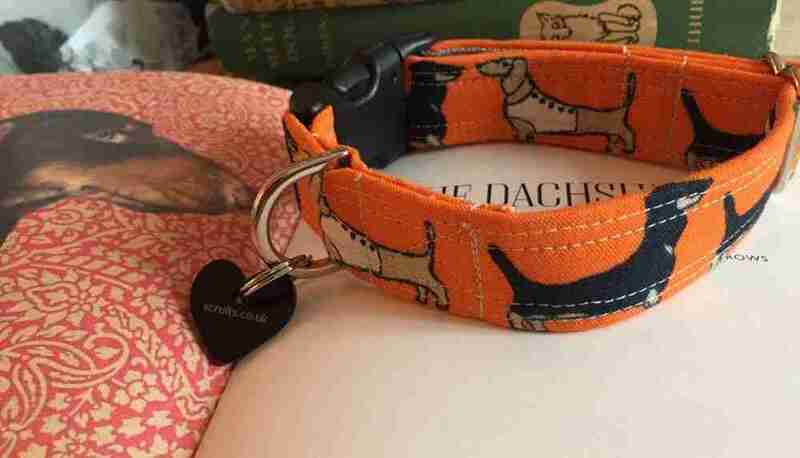 A lovely little Daxi/Dachshund themed handmade dog collar for your little sausage in a cheery, warming orange with a black and white gingham lining. 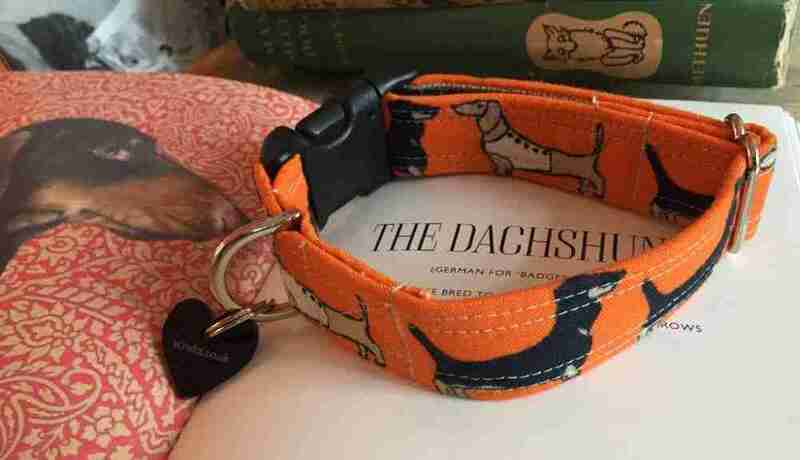 Made using one of Poppy Treffry’s sturdy canvas cottons, this should have all your Daxi chums raising an eyebrow. 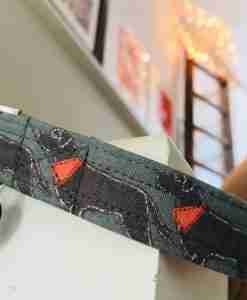 And it’s also a rather tempting price, but with the usual Scrufts high quality finish. 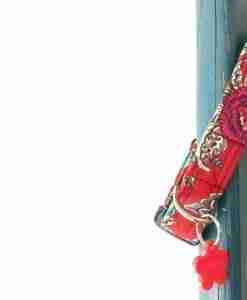 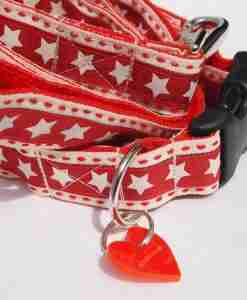 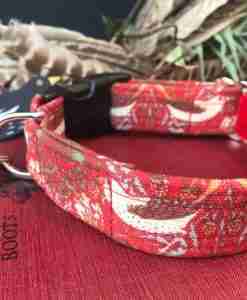 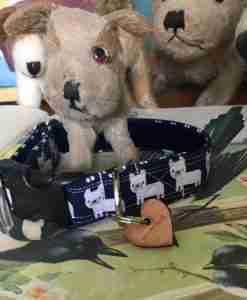 An exclusive Scrufts’ heart shaped tag shouts Fetch !!! 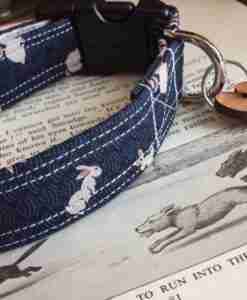 A note about sizes: The width of my collars is 1 inch or 2.5cm, and the clasp width on the collar is 1 1/4 inches or 3.2 cm, so it’s a good idea to check against your current collar to make sure it is not too large for your dog. 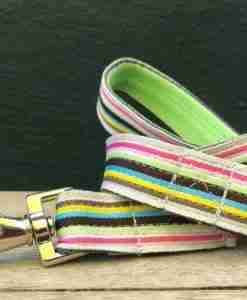 Although my small size is just great for Terriers upwards, it really isn’t suitable for toy breeds such as Yorkies etc due to the clasp. 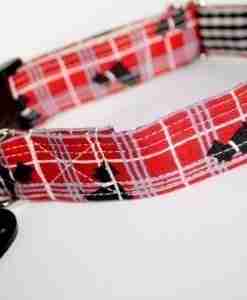 So please bear this in mind when choosing your new collar. 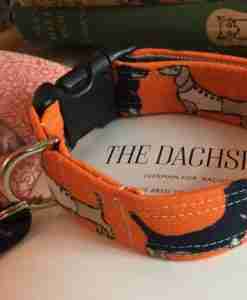 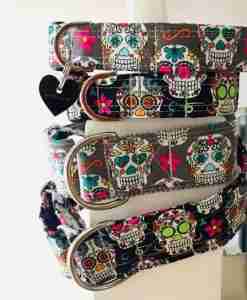 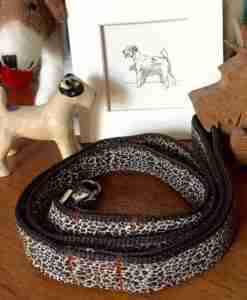 This is a dog collar only. 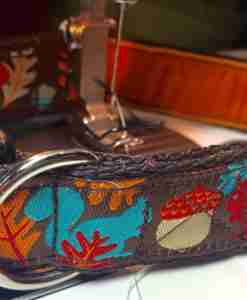 Handmade individually for your dog in my sunny Brighton studio.